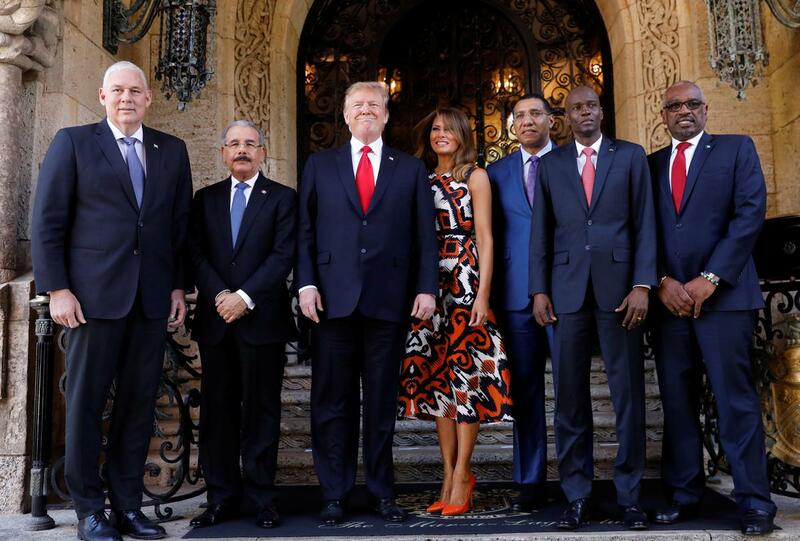 PALM BEACH, Florida (Reuters) – U.S. President Donald Trump pledged investment in a rare meeting on Friday with five Caribbean leaders who have sided with the United States in backing Venezuelan opposition leader Juan Guaido as head of state, the White House said. He promised them that a high-level delegation from the Overseas Private Investment Corporation, the U.S. development lender, would visit their nations in the next 90 days, the White House said. “It’s absolutely important that it’s not just talk – that there will be real investment,” Jamaican Prime Minister Andrew Holness told reporters after the meeting. The nations have broken from other members of the Caribbean Community, known as CARICOM, in their support for Guaido. The organization has officially advocated for talks between President Nicolas Maduro and Guaido, and most of its members have rejected resolutions by the Organization of American States supporting Guaido. The backing of the five for Guaido led to the meeting with Trump, though the White House did not specifically tie the carrot of investment to that support. Guaido, who heads Venezuela’s national assembly, invoked the constitution to assume the interim presidency in January, saying Maduro’s election last year was not legitimate. Maduro, who still has the support of Venezuela’s military, has clung to power with the support of Russia, China and Cuba. The Caribbean region has long relied on oil and gas from Venezuela, which offered cheap financing through a program called Petrocaribe, though shipments have declined in recent years because of production problems at Venezuela’s state-owned oil company PDVSA. Trump and the leaders did not discuss Chinese investment issues, Holness told reporters.